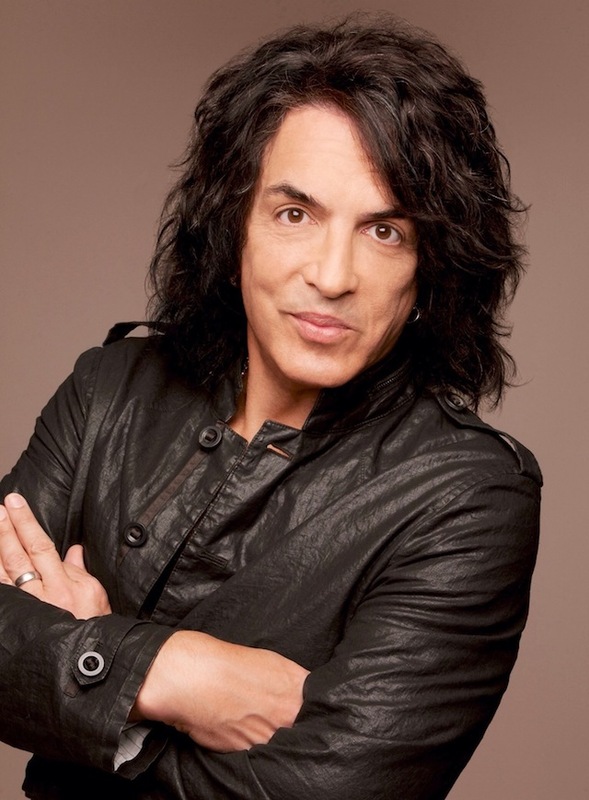 Allison Stewart of the Chicago Tribute spoke with KISS frontman Paul Stanley. Highlights from the interview appear below. Q: How are you approaching every night? Are you going out there like, “This is the last time Kiss will ever play Dallas,” or, “This is the last time Kiss will ever play Chicago”? A: It really feels more like a celebration than a funeral. I guess it’s how you look at it. … We’ve all been in a position where something ends — a relationship, a life — and you have all these regrets about what you didn’t say, and if you’d only known. We’re in this amazing position where we get to do a tour and connect all the dots, and celebrate our relationships. It’s celebratory. Q: And yet, you brought your 98 year-old dad to the show in L.A. a few weeks ago. Do you ever look at him and think, “I could keep going into my 90s”? A: I didn’t bring him, he insisted on coming (laughs). … If we were a band in tennis shoes and jeans and t-shirts, yeah, we could do this into our 90s. But we’re not, we’re KISS, and even though we make it look easy, we’re wearing between thirty and forty pounds of gear and running around for two-plus hours, so it’s important for everyone to realize that life is finite, and there is a expiration date for us. It’s better to stop now than to kind of fizzle out. Making a passive decision is still a decision… The band has never been better, we’ve never had more fun. Most bands do a final tour because they hate each other. For us, it’s the complete opposite. Q: Are you impervious to the trends that are sweeping the country now? Everyone’s more uptight than they were in the ‘70s. Or are you at a level where it doesn’t affect you? A: I’m of the belief that you leave your politics at the bottom step going up to the stage. I’m here to give people an escape from what they deal with 24 hours a day. If you want bad news, you can go on the internet, you can watch television, but everybody can use a break. Q: Do you see KISS going on in some form? Doing one-off shows, making albums? A: I have no idea about the future, honestly. Q: What would be your preference? A: There’s no way, whether I want it to or not, that KISS would stop. We live on in one form or another, because we live on through the fans. Q: When you get to the final, final lap, do you rule out bringing back any former members? Is everything on the table? A: This isn’t — this was never going to be a reunion tour of any members. This is a celebration of the history of this band and the success of this band. The lineup as it is has been seventeen years. (Guitarist Tommy Thayer) has been with us that long, and (drummer Eric Singer) has been with us 25 years, so the idea of bringing back former members as present members is ridiculous. Certainly, I’ve always been open to the idea of former members being part of an evening in a one-off form, but it has nothing to do with KISS as entity. I celebrate the past, but I don’t want to live in it. When I was watching the Super Bowl, at the end I saw Joe Namath carrying the trophy up to the stand. It was great to see him, but I don’t think anybody wanted him to suit up and get on the field. and it kills me the guys over at 3 sides esp michael,hes like well kiss alive was not real,so why should fans be upset now ,WHATTTTTTTTTTTTTTTTTT.what an a–hole they are like a bunch of little kids defending their band.how in the hell is that even in the same conversation…oh but they are not in the pocket of the band right…..if they aver really spoke like adults and honest adults,then kiss would kick them right off the kiss rain,no more comps,no more taking pictures in the pit,no more hanging out with the band on the cruise,ect…. Hard to believe the 3 Sides Team are not in Kiss’ pocket the way they tip toe thru any Kiss Kontroversy (or not bring it up at all). Paul Stanley’s sensitivity issues I am sure play a big role in this. Its their right to run their site the way they want – but sometimes, the geek factor over there is thru the roof. But when you mention an unfavorable opinion, the owner get into a hissy fit. The guy tries to think he is too cool for school but fails miserably. Mark, when he is not eating, takes 10 mins to get this point across and by that time the focus is lost regarding the conversation. Tommy is the only one who gets it…but even he goes to the dark side….. Since everyone seems content on venting their spleens yet again about something Paul Stanley has been saying consistently for more than 10 years, how about a new topic: Whatever happened to Ace’s threat that “the gloves have come off” and his wife/fiancee’s claims on Facebook that Paul and Gene tried to have Ace assassinated? Why have there been no follow-up articles about this? If Paul and Gene are guilty of more than just being mean girls to Ace (and Peter), shouldn’t there be further investigation on the matter? Personally speaking, I would never invite my would-be assassins to play on my album, appear in my video, help me write a song, or show up on their cruise. But, hey, that’s just me…. I thought the claim was Gene sexually harassed Ace’s fiancee? Sure all of this will be in Ace’s next book. According to Ace, Gene saved his life twice…..so why the assassination plot now? Yes, Gene is a jackass….but Ace comes off this looking silly…. No worries, every time we see your name, we chuckle. It’s the joke that keeps on giving.